LOW 550 Scotland is a Jumping Cup competition for handlers wishing to compete in a prestigious qualifier at the same height as the Lower Height Option at KC Agility tests. This Special sponsored event is open to all dogs in the Large height category (i.e. measuring over 430mm at the withers) and with hurdles set at 550mm. The organisers are the same people who are doing the 4th Height Jumping Cup and the LOW 550, with the addition of a Scot to help out locally. All are 4th Height Supporters. Doc Docherty will be judging the LOW 550 Scotland Jumping Cup Final in 2019. 'I would like to say that I am extremely proud to be asked to judge the LOW 550 Scotland Final. If you want to run Doc’s final course with the chance to win great trophies, a 3m pipe tunnel or a free space on training workshop, be sure to put these dates in your 2019 diary. As in previous years, there will be six qualifying heats for CG1-4 and CG5-7, for dogs competing at 550mm (KC Large LHO). The top two in each will claim their spot - but there are even more chances to qualify this time, with an extra 'last minute' heat on the same day as the finals the Weslo Show on Saturday, 10th August. LOW 550 Scotland is a jumping cup competition for handlers wishing to compete in a prestigious qualifier at the same height as the Lower Height Option at KC Agility tests (550mm). This sponsored event is open to all dogs in the Large height category (ie measuring over 430mm at the withers). There will be six qualifying heats held around the country, for CG1-4 and CG5-7. The top two dogs from each part will qualify for similarly split finals taking place at Wes Lo K9 Open Agility Show on 10 August 2019, at Vogrie Country Park EH23 4NU. LOW 550 Scotland is open to all grades of Large dog (ie measuring over 430mm at the withers). LOW 550 Scotland for the 2019 final will consist of 6 qualifying heats held at agility shows around the country. Each heat will be have two parts for Combined Grades 1-4 and Combined Grades 5-7. The host show can choose whether to run both parts together or separately as a Special class/es, or as the LHO part of Standard Progression classes. Where the heat is a Special class the tyre shall not be included, and if the long jump is included it should be set at the KC minimum length for Large dogs. Where the heat is run as part of a Standard Progression class, normal Kennel Club regulations will apply. Competitors entering the competition are deemed to have agreed to abide by the rules and regulations of the host club. Competitors may enter more than one dog in a heat and qualify more than one dog for the Final. Qualifiers may enter further heats for competition, providing they are eligible. Competitors who gain a place in a heat with a previously qualified dog should inform the Show Secretary on the day of the show and it will be awarded to the next placed dog. In the event of a dog being unable to attend the final, reserves may be invited. Trophy for 1st place in each part. Rosettes to 1st – 4th place in each part. Finals. The top 2 dogs and handlers from each part of the 6 heats will be invited to compete at the finals at Wes Lo K9 show on 10 August 2019. All dogs will run over the same course, with separate results for each part. Trophies for 1st and 2nd place in the finals and souvenir rosettes for all finalists, awarded by SMART Veterinary Clinic. The overall winners in each part will win a 3m pipe tunnel, awarded by Wes Lo K9 and the runners up will receive a space on a guest trainer day at a workshop run by Train in the Ring. What a privilege it was to be asked to judge this final. I was delighted when Chris Garrett and her team instigated the LOW 550 events and it has been great to have a competition within Scotland. I know that competitors have welcomed this and enjoyed taking part in all the heats. Our venue was the fabulous Rozelle Country Park in heart of Ayr. 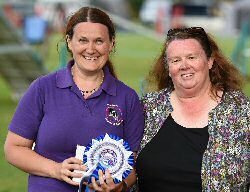 The Final was held in the early evening after Prestwick’s Open Agility Show. The weather was glorious, with full sun even at 6.30 pm, and a good crowd gathered to support the competitors. Although the competition was in two parts, both the CG1-4 and CG5-7 dogs were to run the same course. In designing my course, I had to consider what would be challenging for the higher grades but still be achievable in the lower grades. I made sure that, where there were handling choices, most options were achievable but there was clearly a faster path, often needing a more experienced dog and handler to get the faster route. As it was a final, I also wanted it to be enjoyable to watch. I lost a couple of dogs at Number 6, taking the jump from the front rather than round the back but other mistakes were scattered across the course. I was impressed with the handling at the 'wrong' end of the tunnel at 14, although it was also where time was gained or lost. First to go were the CG1-4 dogs. We had a good mix in terms of breeds, rescue dogs and older dogs. All the handlers tackled the course well and I was impressed with how many of the lower grade handlers managed to get clear rounds. This was a tricky course for them, with quite a bit of handling needed. Special mention goes to Ollie - handled by Abigail Coutts - who took everything in his stride and resolutely worked steadily through the course, clearly having a ball. 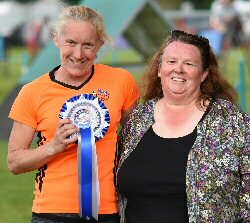 The 'smiliest handler' award has to go to Jacquie Riddell, running Ralph the Working Beardie who was eliminated early on when Ralph didn’t know what 'round' meant and took Number 6 in the wrong direction. Last to run was Karen Purves. Karen, a relatively new handler, had a beautiful run with her dog Amber, handling all the turns well and with a lovely weave but they just weren’t fast enough to catch the leader. Our winner was Sheila Stewart with Poppy (My Poppet Rocket), who had a text book run. Every turn was neat and no time was lost anywhere. She finished almost 5 seconds ahead of 2nd place. Moving on to the CG5-7 dogs and Malcolm McCallie (running Mac) has to get a mention for some fancy footwork between 11, 12 and 13. I don’t know if it was planned but it certainly resulted in some tight turns, sadly not quite fast enough to get into the ribbons. Then one of our young competitors, Robyn Douglas, handling Cara the Labrador, had an unfortunate elimination but showed what they were capable of with a stunning sprint down the finishing straight. The dog that I thought was going to win was Jess, handled by Jamie McCullough. Jess was fast, very fast. Her line was also perfect but she just clipped Number 16, taking the pole down. In the end, there was very little between our 1st and 2nd placed dogs. Lesley MacEwan and Devon were runners up, coming in just over a second behind our winners, Kim Davie with Moss (Mossco Dynamo). Devon took a wide turn between jumps 16 and 17, losing a little time and Moss had a faster weave. Congratulations to all the finalists. It was a great competition with some wonderful partnerships – some at the start of their careers and some coming towards the end. Those who were in the ribbons had superb runs and I hope that the winners are able to travel to England to represent Scotland in the LOW 550 National Jumping Cup Final and have a wonderful time! Good luck to everyone competing in the LOW 550 Scotland Jumping Cup Final 2018, at Prestwick Show on Saturday! * Plus 2 qualifiers for each part from the 'last chance' heat at Prestwick! Following the huge success of the inaugural LOW 550 Scotland competition, which culminated in a top quality Final in June 2017, we are delighted to announce that our generous Sponsors have enabled the LOW 550 team to offer this exciting series once again. LOW 550 Scotland is a Jumping cup competition for handlers wishing to compete in a prestigious qualifier at the same height as the Lower Height Option at KC Agility tests (550mm). Open to all dogs in the Large height category (i.e. measuring over 430mm at the withers), there will be five qualifying heats held around the country, split into two parts for CG 1-4 and CG 5-7. The host show has the choice of whether to run both parts together or separately, and can also choose whether to run the qualifier as a Special class or as the LHO part of a Standard Progression class/es. The top two dogs from each part will qualify for a similarly split Final, taking place at Prestwick Premier Agility Show in June 2018. 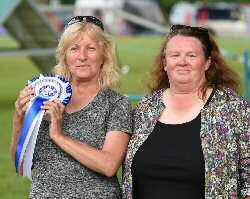 The overall winners of each part in the Final will also qualify to represent Scotland at the Final of the LOW 550 National Jumping Cup at Prestbury Park Premier Agility Show in September 2018 in Gloucestershire. The LOW 550 Scotland Jumping Cup 2018 Final - and last chance heat - will take place at the Prestwick Premier Agility Show on Saturday, 9th June, judged by Sara Hawkeswell. 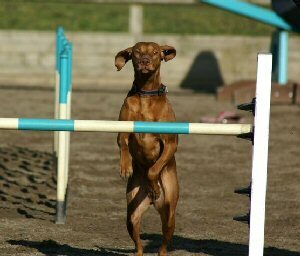 I’ve taken on most roles involved in running agility shows. Starting off by helping on rings, I progressed to scribing and scoring. In 2010, I took my first judging appointment at Clyde Valley show – partly a success and partly a disaster. I misjudged my course time for G6-7 Large Agility and only one - the winning G7 dog - made it within the time. Today, I still feel guilty about the winner of G6 whose win didn’t count towards progression because of my mistake. Measuring wheels and experience have solved that problem for me! Currently I take on several judging appointments each year, though often I do Championship scoring and occasionally scribe. I love the challenge and privilege of judging. It gives me great pleasure designing a course and watching dogs and handlers tackle it - and I get the best position to watch all day. It’s hard work getting through around 400 dogs in a day and I find I am physically and mentally exhausted but always glad that I did it. I have been involved in organising agility shows for the last six years, initially with Woodside Dog Agility Club and now for the Scottish Kennel Club. I am the Scottish Kennel Club’s Agility Co-ordinator which means, among things, I organise and am show manager for our Championship and Premier shows each year. I am also the Scottish Representative on the Kennel Club Agility Liaison Council. Not sure I knew what I was getting into when I took this on but I have tried to throw myself head first into it. I’ve learnt a lot and hopefully contributed to progressing agility. I enjoy consultation meetings with competitors throughout Scotland. Meetings are always interesting. I currently attempt to compete with my Pyrenean Sheepdog, Abi. She has great potential but struggles to put up with my body failing to keep up with my brain. 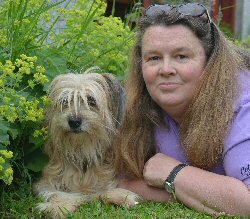 My two older dogs are now retired from agility, Fiz (10 year old Pyrenean Sheepdog) and Zip (13 year old Working Sheepdog). I’m definitely due a puppy (or two) - and have my eye on another Pyrenean Sheepdog and perhaps a lovely big collie boy. Outside of agility I have been studying dog behaviour. I am an accredited member of the APDT, have a keen interest in canine nutrition and have also recently started a dog training business, not just agility. I have a small holding and keep sheep and chickens and am gradually starting to train them as well! I’m looking forward to judging the LOW 550 Scotland final this year. It’s a privilege to be invited to judge a competition where competitors have fought to get into a final. I will be setting a challenging course to test the dog and handler partnerships and shall enjoy seeing many dogs jumping over a height that they are far more suited to. Good luck to all the Finalists. I chose to support LOW 550 Scotland as I have for a very long time been a supporter of a 4th height for smaller Large dogs. To me, it is logical that the gap between Large and Medium should be filled with a height for all those dogs, and I firmly believe that jumping lower is better for our dogs' long term health. Sadly my old smaller Large boy has missed out on this qualifier - as well as LHO - but hopefully the lower height we are now able to choose will benefit my Sprollie (now seven) for many years to come. Having a dedicated qualifier for this height I believe gives it more kudos. I think it is wonderful that Scotland has its very own qualifier, so I have been only too happy to carry on as a sponsor of this event. I recently had the honour of judging the LOW 550 Scotland Jumping Cup Final at Tweedbank Show at Springwood Park, Kelso on Saturday, 24th June. Given the class had two parts - one for CG 1-4 and the other CG 5-7 - I tried to plan my course to suit all Grades. There were two areas of the course where the handler had to decide which route they would take, a slightly longer line or a shorter line but closer to other obstacles. There were many tremendous attempts from all the handlers and dogs, and I thoroughly enjoyed watching every combination and how they chose to run it. The crowd also seemed to enjoy it even though it was freezing cold and very windy! In the G1-4 part, a lovely fast flowing round from Kelly Milne with Teddy The One and Only, was enough to secure them as the winner. The G5-7 dogs generally had faster times but not as many went clear. The times in the top places were very close. Sarah Graham was the eventual winner of this section with a super fast tight clear from her fantastic Reiver's Jumping Geordie. Having this option to jumping lower allows many dogs to compete at a height they are comfortable with - it was a pleasure to watch so many happy combinations. Thank you to our fabulous sponsors SMART Veterinary Clinic, Tracey Kirkpatrick & Co Accounts, Train in the Ring, Fiona Turnbull and Mary McKie, without their generosity this competition could not have taken place. LOW 550 Scotland continues into 2018 – see the Facebook page or website for details – entries are being taken soon! The first qualifying heat took place at Gleniffer DTC on Saturday, 4th September, over a fabulous, flowing course designed by Judge Aileen Darling. Here is her report. I judged the LOW 550 Scotland qualifier at Gleniffer Show on Sunday, 4th September. 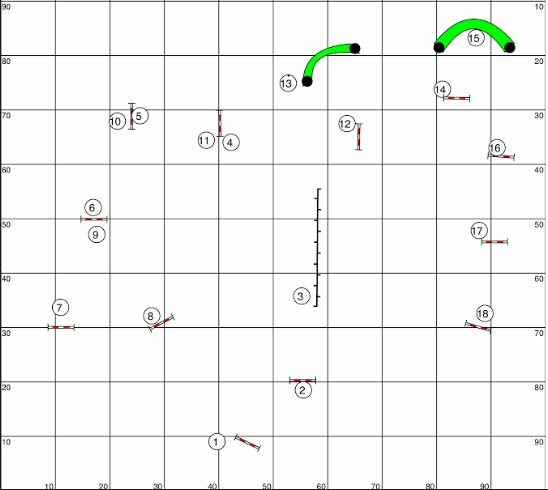 Grades 1-7 were all competing over the same course, although results were split into two parts for G1-4 and G5-7, so I designed a flowing course with choices available for handling the turns. The course distance was 145 metres and course time 45 seconds. The main area of concern and causing faults was round the back of jump 5. Some handlers pushed round the left wing which did appear to flow better for their dog's stride. Others front crossed after 4 and collected the dog to push round the right wing of 5. This generally worked well but affected the line to 7 more, and there were faults here with some dogs back jumping. There were choices on the line taken for the last obstacles as well, and I saw some lovely blinds to 18 after the tunnel. The winning dogs at both grade combinations had fantastic runs. The Grade 1-4 winner was Debbie Prince with Poppy, a lovely petite Labrador have been doign well at Agility and lower height definitely suited her. See their story below. The Grade 5-7 winner was Helen Smith with Ice, an older collie I know to be winding down to possible retirement soon. Again the LHO really worked for him, flying round and I’m sure I heard more than one enthusiastic bark as he went! Another stand out run was Joanne Orrell who came 4th with an amazing example of distance handling. 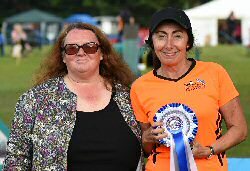 Debbie Prince with Highfield Princess - 35.479 secs. Amy Jackson with In a Minute Jess - 38.670 secs. Helen Smith with Wildfell Brown Owl - 32.735 secs. Ashleigh Orrell with Agility Qualiflower - 33.620 secs. I thoroughly enjoyed judging the class and wish all the qualifiers the best of luck for the final next year. With many thanks to sponsors SMART Clinic, Fiona Turnbull, Mary McKie, Train in The Ring and Tracey Kirkpatrick. Poppy (Highfield Princess) is my small, black working Labrador who turned six years old this summer. She is the first dog I've had since I was a small child and she is my first agility dog. We started out in Obedience and she won out of Pre-Beginners and qualified for the Semi-Final of the Good Citizens Scheme. Poppy also acts as a working gundog during the winter months. 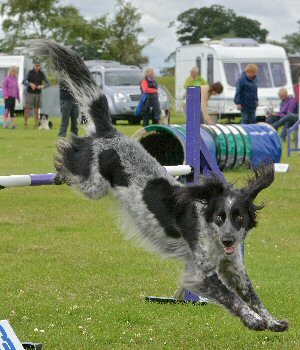 We started agility in 2012 with lots of eliminations! We have both been on a steep learning curve since then and won into Grade 3 in 2014. For the last two years Poppy, has continued to develop and do well, regularly placed in the top 10 in Grade 3 and also winning the ABC Crufts CG 1-5 Agility at SKC this year, thus qualifying for the Semi-Final at Discover Dogs in October. Poppy has also achieved her KC Gold Agility Warrant this summer, as well as plenty of 2nd places in Agility but just not that elusive win. I was planning to put her up on points at the end of this season. Then the opportunity to run her at LHO at Gleniffer show came up, so I decided that I would give it a go because, although she copes with the Large 650mm height - she has a big leap in her - she is really quite a wee dog! Call me a geek but I like to record her achievements and the details of runs which include speed. Interestingly I found that her ground speed at LHO was not faster! In fact, in one or two runs she appeared slower (judged this by looking at places awarded to FH dogs with whom she is nearly always several seconds faster than....and they were faster than her!). However, particularly on the Sunday, I felt that although not faster she seemed more confident with turns around wings. We had a lovely run in a David Hudson’s Graded 3-5 agility class and I was hoping for a nice place with that run. To my amazement we won the class!!! There were only 8 clears in Grade 3, she won by 5 seconds and also was faster than the placed Grade 4 dogs. I did wonder if I should feel guilty about the win but given the rest of the results feel quite justified to have won. I was so happy. Our next run was in the CG1-4 part of the LOW 550 Scotland Jumping Cup qualifier, and we just went in and had a ball! She was turning tightly and looked really happy. Another nice run... and to my complete astonishment we WON that, too! Despite winning out at LHO, I don’t believe the height made a difference to her ground speed, just to her confidence, as illustrated by the table below. Note that in all runs when Poppy has a faster speed, so does the winner – indicating a faster course. Averages show that Poppy is consistently slower than the winner but not by much and when comparing with the LHO figures (albeit there is a need for more runs for a true comparison) it is interesting to note that her average speed for agility is slower at LHO and jumping only marginally faster. The table shows Poppy’s speed over courses this season. Only clear runs where I have managed to note the course length are included. LOW 550 Scotland is a Jumping cup competition for handlers wishing to compete in a prestigious qualifier at the same height as the Lower Height Option at KC Agility tests. This Special sponsored event is open to all dogs in the Large height category (ie measuring over 430mm at the withers) and hurdles are set at 550mm. Five qualifying heats will be held around the country, each one split into two parts for Combined Grades 1-4 and Combined Grades 5-7. All dogs will run over the same course and shows have the option of running the parts together or separately. 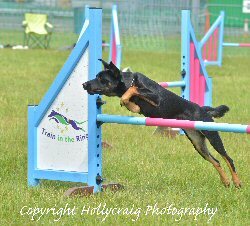 The top two dogs and handlers from each part will qualify for a similarly split Final taking place at Tweedbank DTC Open Agility Show on 24th - 25th June 2017 at Springwood Park, Kelso, Scottish Borders TD5 8LS. Chris Garrett Ralphs explained the back story. 'We had one heat of the LOW 550 to allocate to Scotland. We were completely oversubscribed with applications and thought we would try to organise a qualifier just for Scotland - hence the five heats and the Final (with the overall winners representing Scotland in the main LOW 550 Final in 2017. Extra funding for LOW 550 Scotland came from within the enthusiastic Scottish agility community. The overall winners of each part in the Final will also qualify to represent Scotland at the Final of the LOW 550 National Jumping Cup at Prestbury Park Championship and Premier Agility Show in September 2017, at Cirencester Park in Gloucestershire. Train in the Ring believes in flexibility in jump height to suit every individual dogs needs. That's why at Train in the Ring we have always had five jump heights and you the owner can choose which height is best for your dog at that time! 'I have chosen to support LOW 550 Scotland as I have for a very long time been a supporter of a '4th height' for smaller Large dogs. To me it is logical that the gap between Large and Medium should be filled with a height for all those dogs, and I firmly believe that jumping lower is better for our dogs’ long term health. Sadly my 13 year old smaller Large has missed out on this qualifier (as well as LHO), but hopefully the lower height we are now able to choose will benefit my Sprollie, now six and a half, for many years to come. We are all new to agility and my dog, Bentley, and I have started competing in the dizzy heights of Grade 1. 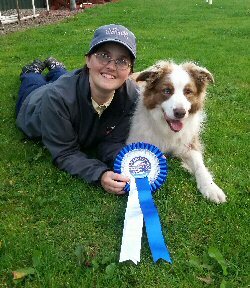 He is fast, and we have learnt so much while training with Tweedbank Dog Training Club and Dianne Talbot, but he seems to find KC shows overwhelming and has been known to leave me standing in the ring on my own! We love it, though, and have even managed to get the boys’ dad, Paul, interested enough that he has been training Obi and will be his handler. Paul and Obi’s first outing at a KC show will be this September, so hopefully all the hard work will shine through. It will be great seeing them both work up the grades (hopefully) and I am sure that between me and Paul there will be some healthy competition. We are supporting lower height jumping because we love dog agility, and because we are happy for handlers to have this option if they feel the dog will benefit from and enjoy his or her agility even more at this height. 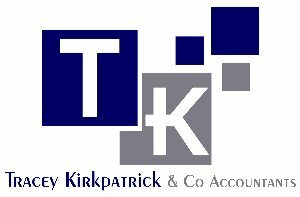 Tracey Kirkpatrick & Co Accountants are a small dedicated accountancy practice located in the heart of the Scottish Borders providing a personalised service to business owners and individuals. They can be found on Facebook: @TKAccountants, website www.tk-accountants.co.uk. The LOW 550 Scotland heats and Final MAY consist of hurdles set at 550mm, pipe tunnels, weaves and long jump (set at KC minimum length for Large dogs of 1.2m) only. LOW 550 Scotland is open to all grades of dog measuring over 430mm at the withers. Each heat will be split into two parts for Combined Grades 1-4 and Combined Grades 5-7. All dogs will run over the same course and shows have the option of running the parts together or separately. Competitors may enter more than one dog in a heat and qualify more than one dog for the Final. Qualifiers may enter further heats for competition, providing they are eligible. Handlers who gain a place in a heat with a previously qualified dog should inform the Show Secretary on the day of the show. In the event of a dog qualifying more than once for the Final, or a handler being unable to attend the final, reserves may be invited. Trophy for 1st place in both parts of each heat. Rosettes to 1st-4th place in both parts of each heat. LOW 550 Scotland for the 2017 final will consist of five heats held at agility shows around the country. Final. The top 2 dogs and handlers from each part of the five heats will be invited to compete at the Final at Tweedbank DTC Open Agility Show on 24/25th June 2017. This will also be split into two parts, run over the same course, with separate results. The overall winners in each part of the Final of LOW 550 Scotland will also qualify to represent Scotland at the Final of the LOW 550 National Jumping Cup at Prestbury Park DATC Championship and Premier Show in September 2017. Special award at this Final for the Best Rescue dog, awarded by Fun with Fido.